The weather and water conditions have been excellent recently, and the redfish have been found both in schools and solitary fish. 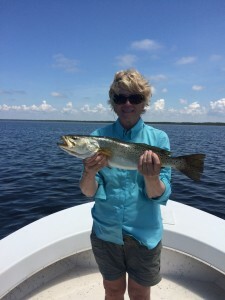 Trout fishing has been a challenge, in spite of the fact that there were some large fish caught in all the recent tournaments. 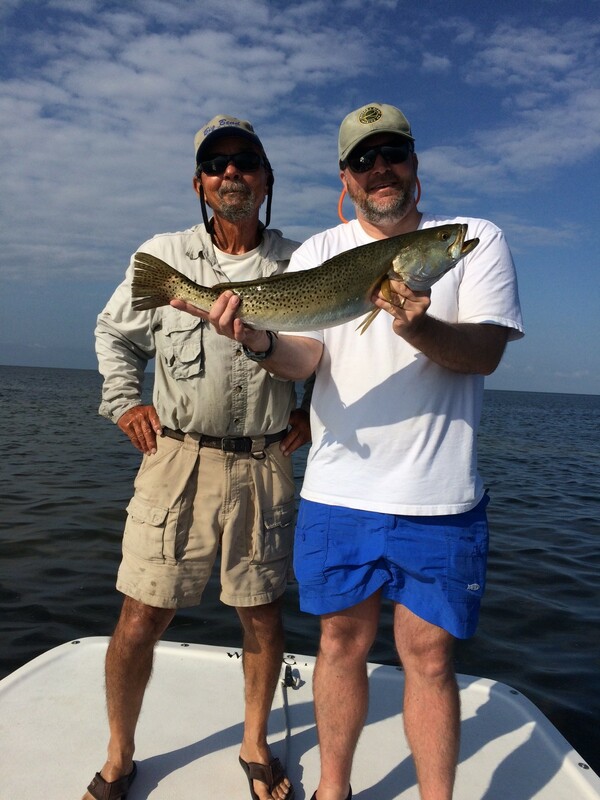 However, the large numbers of keeper fish have been tough to find, while there are lots of shorts (one guide told me that he caught tons of 14 inch fish for every keeper). The good news is that there are a lot of fish around. Capt. 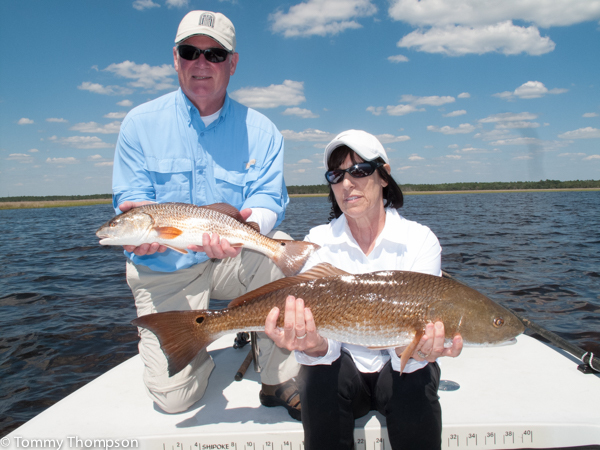 Tommy Thompson and I have been exploring some different areas and on one trip last week in just a few hours we caught a total of 8 different species of fish, without trying for redfish. 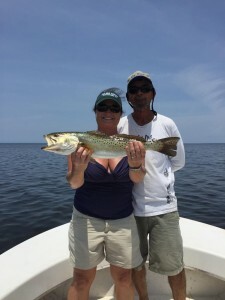 We fished some nearshore numbers around some of the bars in 7 to 10 feet of water first, and found some spotted seatrout, some silver (sand) trout, blue runners, black sea bass, Florida snapper, several nice bluefish, spot-tail pinfish, and a small cobia. 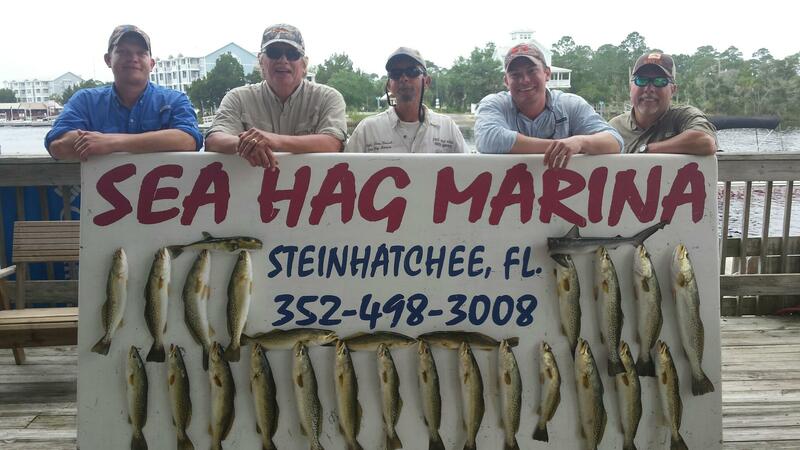 We moved in closer to one of the bars and saw several acres of ladyfish destroying glass minnows on the surface. We also tried some areas that have held lots of trout in the past, and in spite of mullet and pinfish being present, the trout weren’t there. 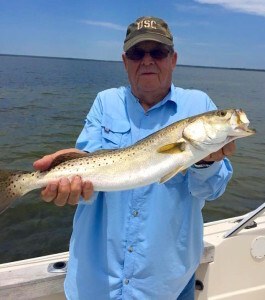 However, some of the guides have been getting more and more successful, so it’s clear that the keeper fish are beginning to move onto the flats. The point is that even if you’re having problems finding trout, you can still have a great day if you spend some time locating some areas in deeper water. Try some areas northwest of the bird rack, or near 9-mile and Little Banks in deeper water near these bars. 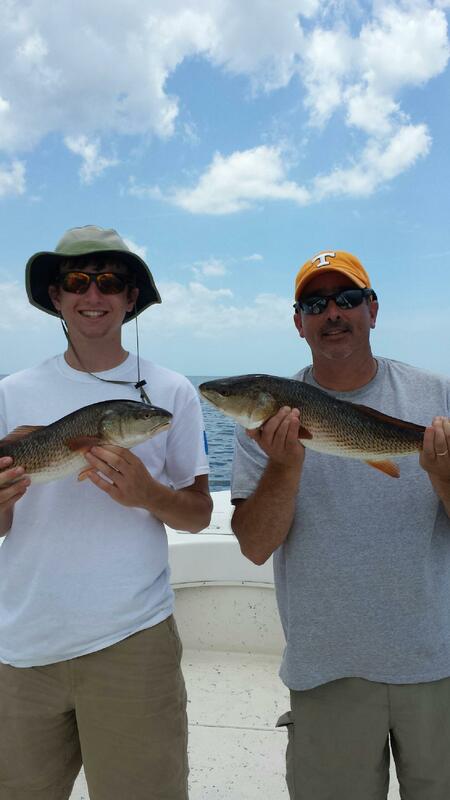 Use your depth finder and look for areas of shallower humps than the surrounding water. 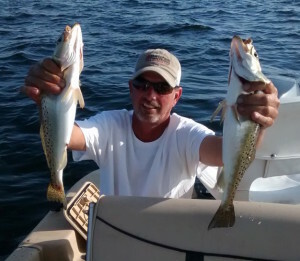 Drift through the area, fishing jigs and Gulp baits. 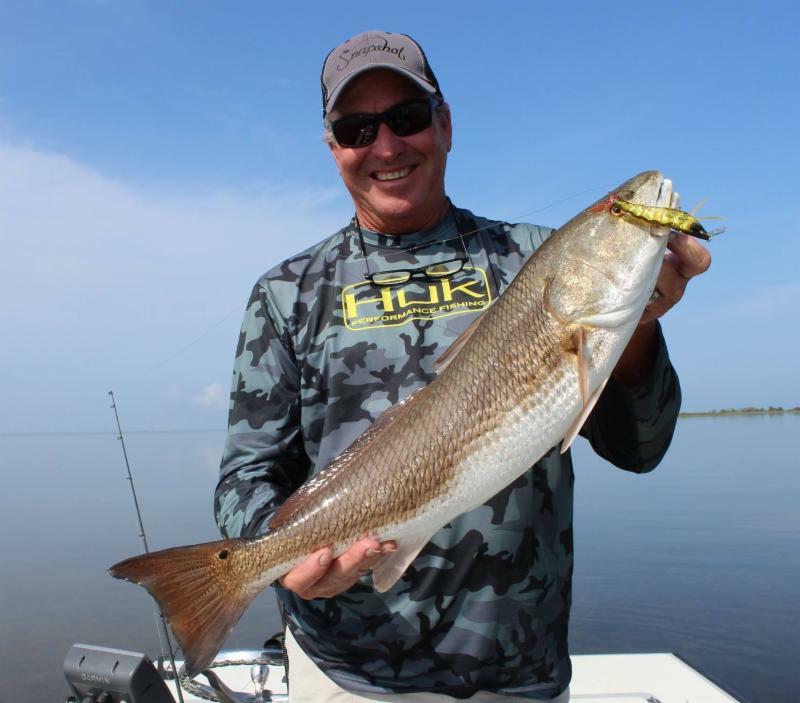 If you have a bunch of kids and you want to make sure they are occupied, by all means consider anchoring in some deeper water with grass or structure and throwing out a chum block. You will have non-stop action within 30 minutes. Redfish continue to be taken near shorelines, especially during outgoing tides. Good reports have been coming from west of the Pepperfish Keys for trout, and along the shorelines east of the keys on flood tides. 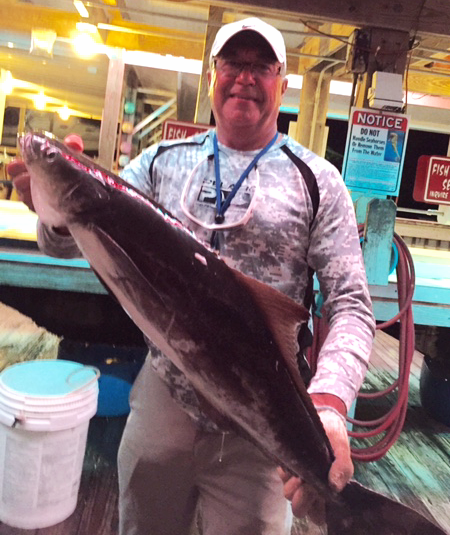 Cobia are cruising the flats and surprising some trout anglers. I had some good trips this month, and jumped an 80 pound tarpon, surprising the angler, the captain and the tarpon. He made it through four jumps before tearing the leader apart. I’ve seen other signs of tarpon around the sand bars as well and they will be moving through the area over the next few months. Offshore, the amberjack have been on fire. 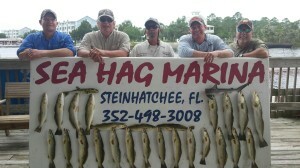 Large limits have been coming in every day, and there are still lots of kingfish around. 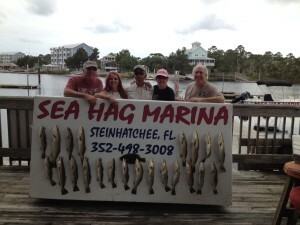 Red grouper have been coming in as well, in spite of the decreased bag limit of two per person. Here are some pictures from this past month. Fishing with me, Eliot Barth caught his first redfish! 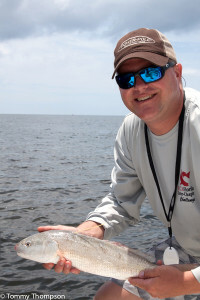 Brian Gorski from CCA releasing one of the 120 tagged redfish in the STAR Tournament (see below). Barry Young from Tifton, Ga., with two really nice trout. 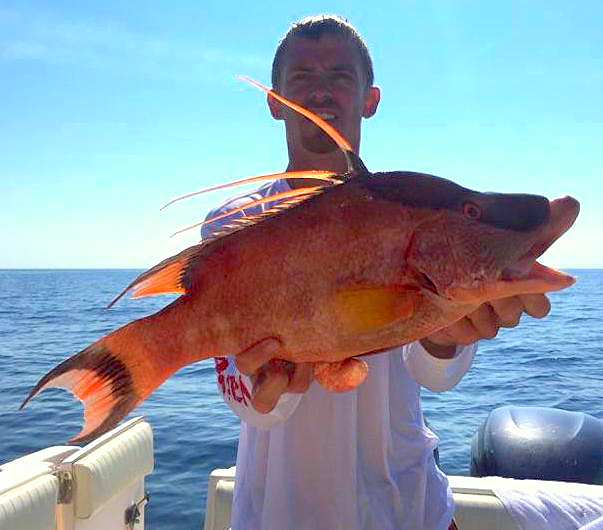 Sea Hag’s Derek Snyder with a hog snapper taken on a spearfishing trip. Dianne Watson from Ocala finished second in the Optimist Tournament for largest trout. 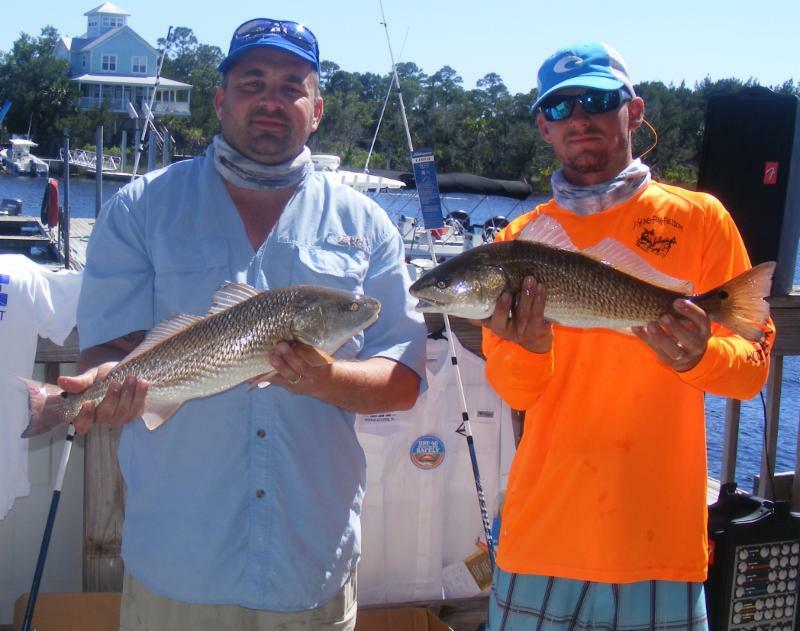 Terry Gaines, Frank Sheffield, Dan Jordan and Dean Baker went WAY offshore to find these red grouper, scamp, snappers and amberjack. Joey Forrester and Blake O’Connor with two redfish caught in the Optimist Tournament. Tom Chancey with a tasty cobia. Susan Purser caught this squid on a Gulp shrimp! Sean Campbell and Danny Shore from Gainesville with a giant amberjack. 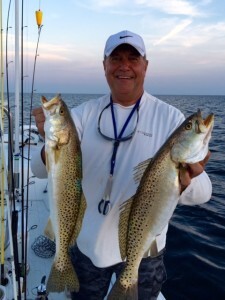 Max Leatherwood, the trout master, with two nice examples…. And while fishing for those trout, a cobia wandered along and Max made the best of it. 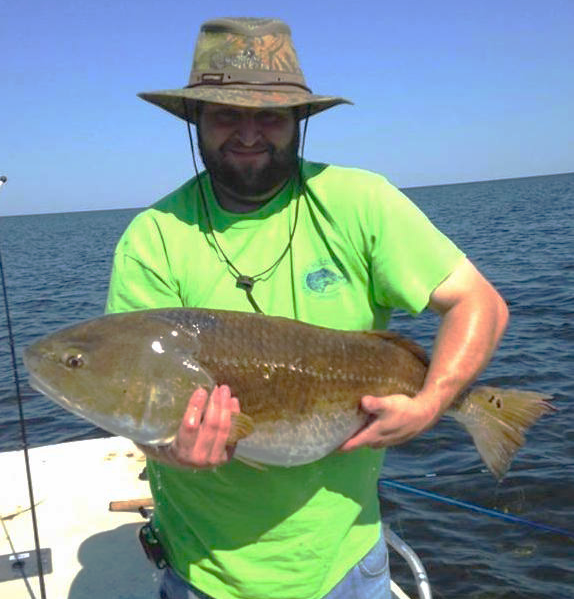 Phil Worley from Cordele, Ga found this hefty redfish. 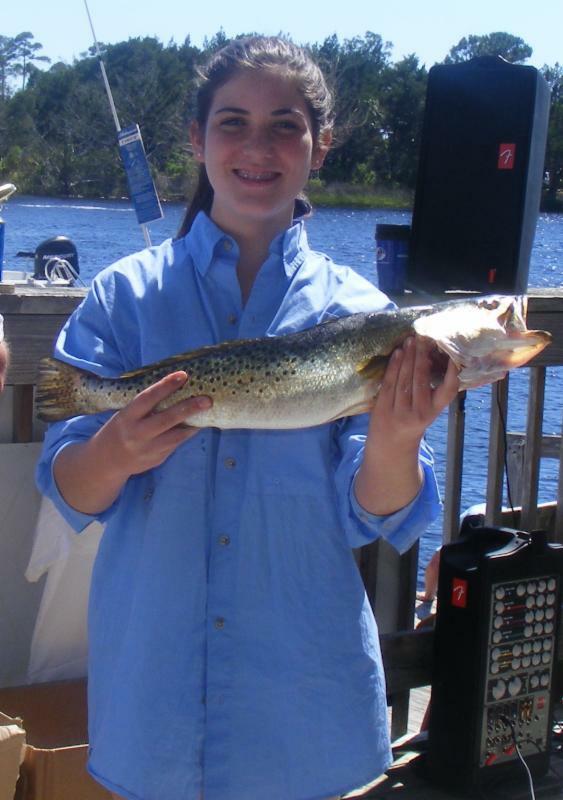 Morgan Balch with a tasty trout. Monica Kolicia caught the biggest redfish in the Optimist Tournament. 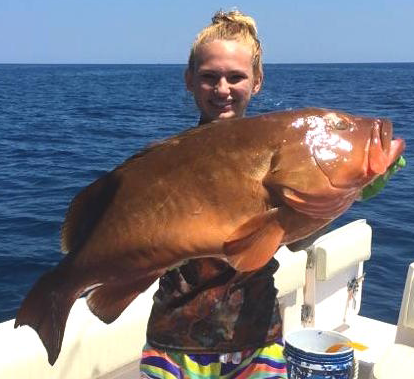 Chaeli Norwood speared this giant red grouper on an offshore diving trip. 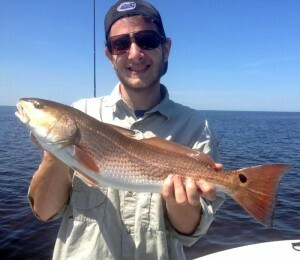 George Campbell came all the way from Islamorada to nail this beautiful redfish. The Strickland and Hart families fished with Gene Frazier and took this nice offshore mixed bag. 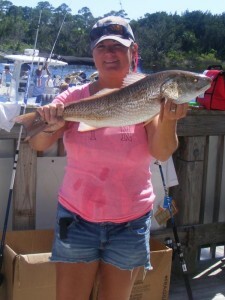 Sue Holzschuler and Susie Henry from Bunnell with a redfish they caught in the Steinhatchee River! 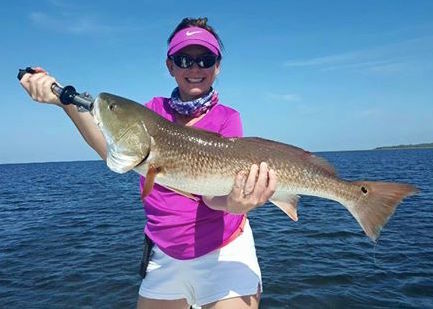 Kristen Griffis with a beautiful overslot redfish. ….and finally a picture of the soon-to-be-opened Sea Hag Marina pool. If you are an offshore fisherman, you need to know that the red snapper season has just been announced. 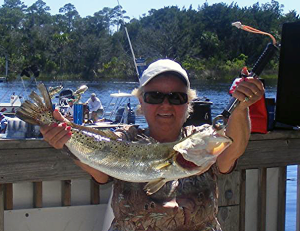 For non-chartered recreational fishermen, the season opens June 1 at 12:01 AM, and unfortunately is open only until June 11 at 12:01 AM. For-hire vessels have a longer season, not closing until July 15th. Gag grouper are currently closed in federal waters but will open on July 1st. 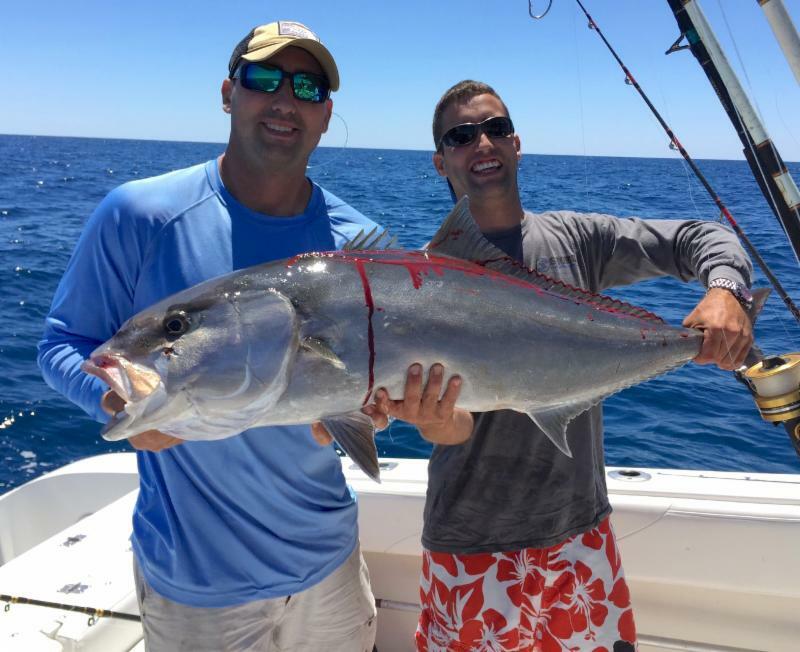 And we’ll have to take a short break from collecting reef donkeys: amberjack are closed in June and July. And then there’s the excitement coming of scallop season. Current plans are for the season to open June 27th until September 24th. The water is clear, scallops are being seen and it could be another banner year for tasty bivalves. You need to make reservations now for accommodations, and the newly renovated Sea Hag Cottages are filling up…. 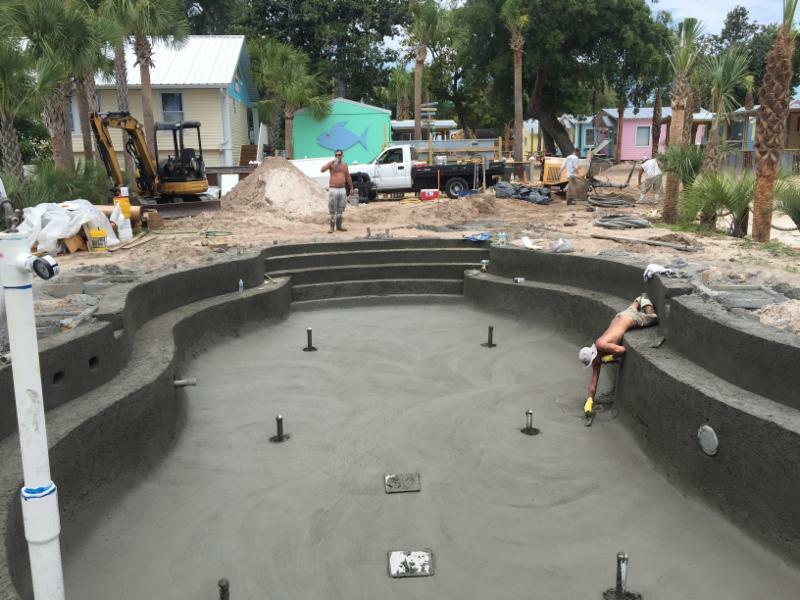 and this year, there will be a new addition–a swimming pool. You can also rent one of our 24-foot rental boats, which are perfectly outfitted for scalloping or fishing, at a very reasonable price. In terms of fishing, the redfishing will remain hot, and we’ll be expecting the trout bite to continue to improve. 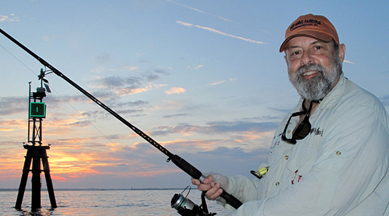 This will be the last month to fish in relatively quiet conditions, so take advantage of it while you get ready for the excitement of scallop season. C’mon down…. the water’s fine!!! 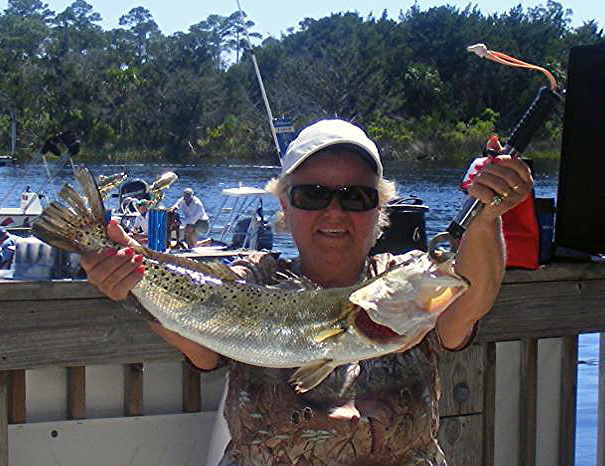 Steinhatchee and the waters of Taylor and Dixie counties consistently produce great catches throughout the year. On summer days we’ll target big seatrout and reds along the rocky shoreline using gold spoons or suspending plugs. And expect a great topwater bite for both trout and reds to get started this month. 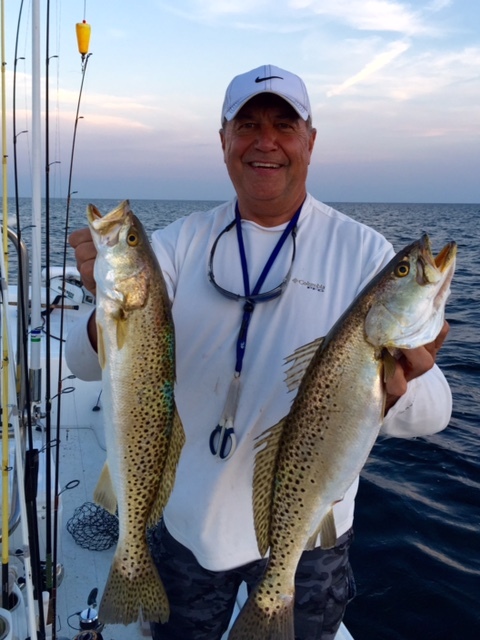 If you’re looking for a great day of sportfishing, give me a call! 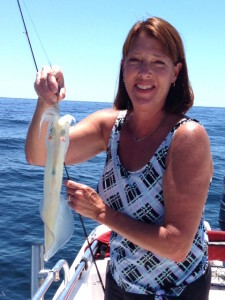 Starting June 1, through September, I only offer half-day trips, as it’s just too hot to fish during the middle of the day. We leave the Sea Hag at 7AM and return to the comfort of shore no later than noon.